First-of-its-kind anywhere, a new Master of Arts (MA) programme in Ecosophical Aesthetics is being launched by Gandhian Centre for Philosophical Arts and Sciences (GCPAS), a constituent department of Manipal Academy of Higher Education (Deemed University) from this academic year. The post-graduate course, specially designed to meet the needs of contemporary times, is called Ecosophical Aesthetics, an emerging area of study with immense contemporary significance. It is a two-year programme to fulfill the need for ‘art writers’. It is an intersection of journalism, philosophy, ecology, arts and sciences. It is essentially ‘art journalism from ecosophical perspective’. Ecosophy combines ecology and philosophy. The programme includes a philosophical appreciation of all art forms – music, dance, literature, theatre, cinema, painting etc. with a focus on writing and ecosophy is the connecting thread. Anyone with graduation or equivalent degree can take up this programme. The papers offered are as follows. (Semester-I): Introduction to Ecosophical Aesthetics, Cultural History of the World, History of Science, Overview of Literature, Ecology and Environment. (Semester – II) Research Methodology, Fundamentals of Music, Essentials of Dance, Painting and other Visual Arts, Appreciating Theatre. The Semester – III includes Dissertation, Journalism, Media and Communication, Nuances of Creative Writing, Understanding Cinema, (Semester – IV). Project, Advanced Ecosophical Aesthetics, Ecological Economics, Ecological Management and Sustainability. There will be one mandatory internship during the course. The electives such as Yakshagana Appreciation, Folkloristics, Society, History and Polity, Gandhian Studies, Peace Studies etc, may be offered at different levels in the programme. The professional possibilities include, Academics and Research, Journalism, Media and Communication, Socio-cultural and environmental sector, Policy Research. The Gandhian Centre for Philosophical Arts and Sciences (GCPAS), which offers MA in Ecosophical Aesthetics, engages in interdisciplinary teaching and research with a view to developing alternative knowledge systems to deal with contemporary crises. The Centre engages in intersectionality of aesthetics, philosophy, ecology, journalism, Gandhian and peace studies. 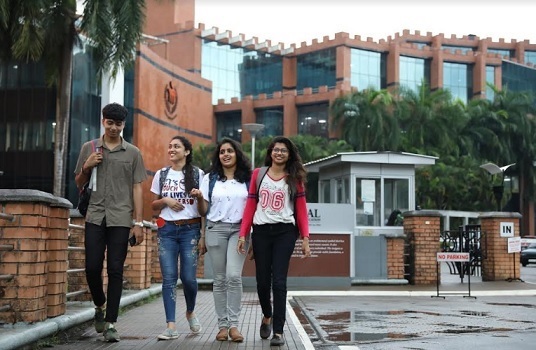 It is a constituent department of Manipal Academy of Higher Education (MAHE), a deemed university recognized as the Institution of Eminence by the Ministry of Human Resources, Government of India. Procedure for selection: Once the applicant meets the University stipulations, there will be personal/telephonic interview following which the admission result will be announced.